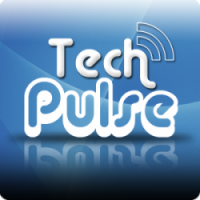 Tech Pulse Podcast: iPhone Review Coming Soon! Stay tuned! One of the Tech Pulse podcasters is getting an iPhone today, and we're planning to do a special iPhone review show next week. Subscribe to the feed to get the episode as soon as it's posted! If you want to listen to the show live while it's being recorded, we plan on recording the review 'cast on Tuesday night around 8 PM Pacific (11 PM Eastern). Just go to www.talkshoe.com around that time and look for Tech Pulse on the homepage. If there are any changes to our live show schedule, I'll post them here. UPDATE 29 June 2007 @ 9:30 AM - Please note that the start time has changed to 8 PM Pacific. This is still a tentative date and time and is subject to change.